Being an authentic Italian pizza fanatic, I had my reservations last year when I first tried their regular menu pizza. I am not a great fan of american pan pizza so when my friend recommended the regular crust I wanted to opt for thin crust assuming that I can always digest the veggies no matter what but would hate to throw away the crust. I was in for a shock, the crust is super delicious and has a feel of home made, hand made pizzas. Last week, I visited CPK and found that they have introduced a new menu , albeit temporarily- the mexican menu. I would have rather stuck to the regular menu but for the euphoria around the mexican menu, The staff was dressed up in mexican hats to promote the menu, so I decided to go for one dish. CPK has many outlets in mumbai, but I end up frequenting the Bandra Kurla Complex as it is in vicinity of my of work place. The place is nicely done up and has an ambiance suitable for large city big fine dine restaurants. The large wooden table and seats give a comfortable feel. The place has an open kitchen which lets you see your pizza being made fresh in hot fire oven. But the kitchen is at backside so this is pretty much shielded if you dont want to be there. We ordered Apple Strawberry Mocktail and Coke to kick off our menu that day. On insistence of the attendant we opted for Nachos with sour cream, salsa and cheese dip as our starter. The mocktail was fine- nothing great but no complaints. The starter was fresh and delicious. the quantity is sufficient for 3-4 hungry folks and is priced well at 185 Rs. Next we ordered 2 pizzas - Chicken asada and Veggie with Habanero sauce.. The 9 inch pizzas are mouthful goodness. The chicken asada is served with fresh tomato salsa which is refreshing. The chicken although appear bland are pre marinated in spicy buttermilk which makes it soft and delicious. There is a hint of spice bomb explosion at the end which is simply too good. We ordered banana flan. The banana flan is served on vanilla sponge soaked in sugar syrup and topped with banana cream and caramel sauce. On the first bite we felt like it was way too sweet but then it starts growing on you. It was the amazing built up of flavors. The creamy banana and toffee like caramel sauce are surely the best way to round up your meal. We also tried the trio of chocolate mousse which is served in chocolate cup. Unfortunately the full tummies did no justice to the delicious creamy mousse. 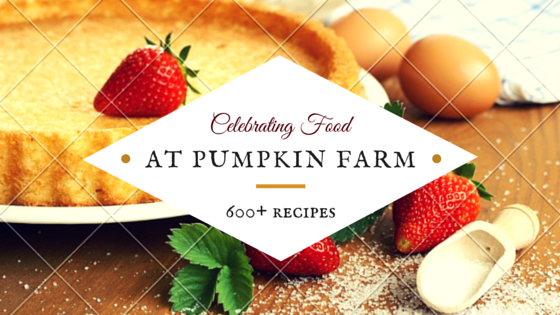 Two Thumbs Up initiative is proud to feature this restaurant At The Pumpkin Farm.